TakeMeTour is the largest marketplace for local tours in Thailand. We connect travellers to local people through 1-day tours. 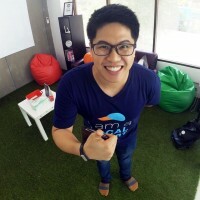 Taro Amornched: CEO & Co-founder of TakeMeTour, who has intensive experience in online advertising & marketing. He has been coaching & consulting thousands of SME businesses in the past 2 years at Google Singapore.